Sometimes we meet people who are going to extraordinary lengths to protect our blue planet. Not only do these individuals make changes in their own lives, but they raise awareness and money to help marine animals and their ocean home. Abby is a 4th-grader from Massachusetts. She's taken a particular interest in sea turtles, and she's doing some amazing things to help them. 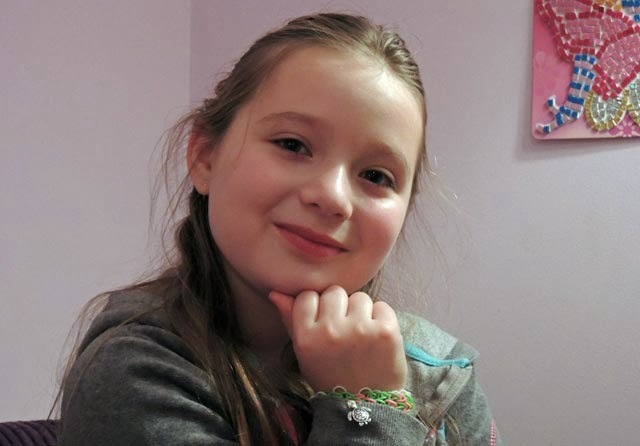 She has started selling hand-made bracelets to raise money for sea turtles! In this post, she answers some of our questions about her endeavor here. But first, an introduction from Abby's website. My name is Abby and I’m in the fourth grade. Last year in literacy class we read a book about sea turtles. I learned that sea turtles were endangered and I decided then and there, that I was going to raise money to help save them. I knew it would be a big project, so first I started by asking my friends and family for donation money to help save sea turtles. Then my dad offered to make me a website. Of course, I said, “Yes!” I got the idea to make bracelets when I saw the student council giving away bracelets to support Boston Strong. Then, as an end of the year present, my dad got me a set to make the bracelets. Together we designed the website, and the rest is history. Abby, your website gives some great background about how you first learned about turtles. What do you like about these marine animals? I really like animals of all kinds, but when I read about turtles and all the ways they are in danger, I really wanted to help. It makes me feel good to do something that will hopefully save sea turtles. When I read that book that told me about sea turtles, it almost broke my heart. To know that so many turtles were being harmed in so many ways, I had to help. Have you ever seen a sea turtle before? What did you think when you saw it? I have seen Myrtle and the other turtles at the Aquarium. I was really impressed. They were sooooo big! I liked the symmetrical pattern on their shell - they're really amazing creatures. 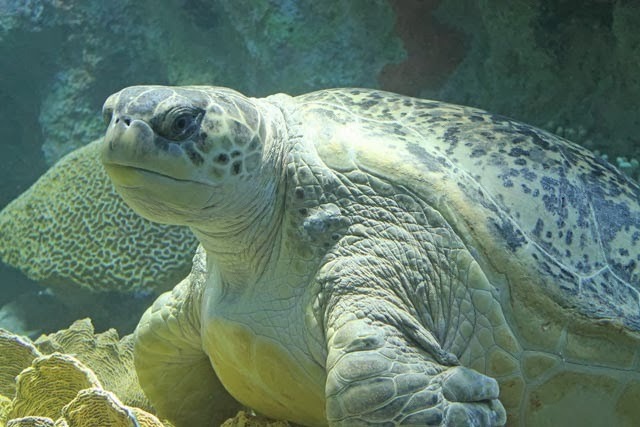 What do you think people should know about sea turtles? If a sea turtle can avoid all of the human dangers out there, they can live to be up to 80 years old. They often return to the beach where they were born to lay their own eggs. If a beach becomes developed, or there are bright lights nearby that didn't used to be there, it can mess up the cycle. There are lots of ways families can help sea turtles at home. For example, sometimes sea turtles eat plastic bags that end up in the ocean, thinking they are sea jellies. By using reusable bags, hopefully fewer plastic bags end up in the ocean. Do you do anything at home to help sea turtles in the wild? When we go food shopping, we always use reusable bags. When we have balloons outside, we make sure they don't get away. Balloons can wind up in the ocean, too, and endanger turtles. We used to have a boat, and whenever we were out, we would always stop to pick up floating balloons, plastic bags or any other garbage that turtles could get in trouble with—sometimes even flip flops. How do you make your bracelets? How long does it take to make one? 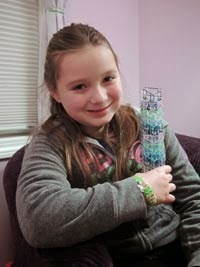 I make Rainbow Loom bracelets. The loom uses small rubber bands and a crochet hook to loop them together. There are two different styles I make - a single strand and a triple braid. I make them extra special by adding a turtle charm, so everyone that buys them will think of turtles. It takes me about 10 minutes to make a single strand, or about 20 minutes to make a triple braid. 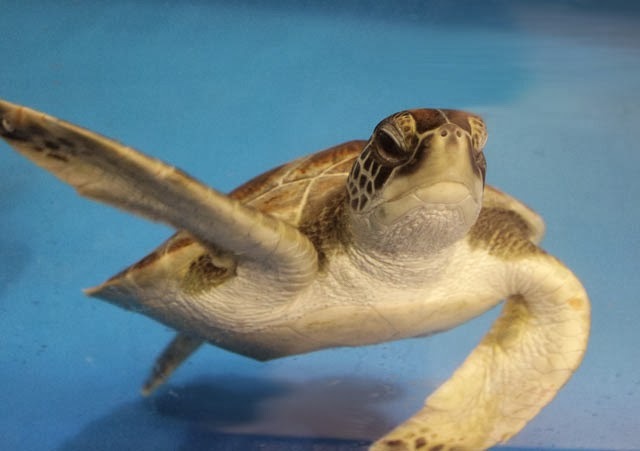 Interested in supporting Abby's efforts to help sea turtles? Check out her website and check out her handiwork. Thanks to Abby and her dad for taking the time to share pictures and answer our questions. We hope sharing the story about her efforts might inspire others to protect our blue planet, too. If you already have a bracelet and you want to do more, consider sponsoring animals at the New England Aquarium! Your support helps with medical care, food and habitat upkeep.